wait is over for viacom 18’s latest channel, colors tamizh programs launching on 19th february 2018. they have finalize the launch date and appointed actor Arya as channel brand ambassador. There will be dubbing content and fresh programs available through NXT Channel. 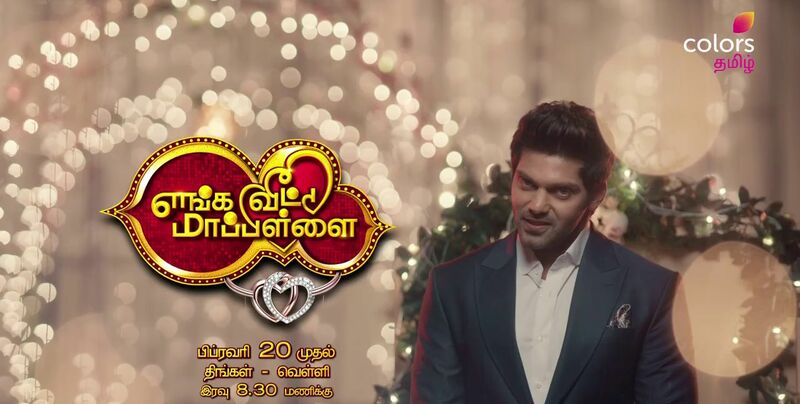 you can check and download the program schedule of colors tamil channel from here. Idhu Namma Ooru Coloru is the tagline of the channel, sun tv is the industry leader. sun tv is one of the most popular indian television channel , it’s no so easy for colors tamil to get a space. Velunachi , Naagini 2, Sivagami, Enga Veetu Mapillai, Perazhagi, Kaakkum Deivam kali, colors Super Kids etc are the programs charted now on colors tamizh tv channel. Velunachi serial is an inspirational story of young girl who transforms herself into a strong woman carrying her father’s lineage in Silambattam. ‘Sivagami is a transforming tale of courage of a young woman tackling conflicts in society to bring up her daughter as a successful IPS officer. The story is set in rural Tamil Nadu with nativity and rustic aims to create a positive change in mindset among people. ‘Perazhagi’, is an uplifting drama that breaks the stereotype around skin color featuring a small girl who fights against all odds to become a celebrity. All the latest episodes of colors tv tamil channel programs available through voot tv application. channel will be available through all dth service. viacom 18 ensure the channel availability in all leading platforms.